It’s episode two of the Double Bonus podcast! Listen as Tim and John S break down the weekend’s slate of games, and hear John S apologize for being so wrong. Click here for the podcast of a lifetime…. Natalie Portman won the Best Actress award last night, so it’s worth asking: Is Natalie Portman a good actress? Slate ran two stories that seem to say “no.” Slate also dished on The King’s Speech and stuttering. We know one Egyptian who will be retroactively upset The Social Network didn’t win Best Picture. 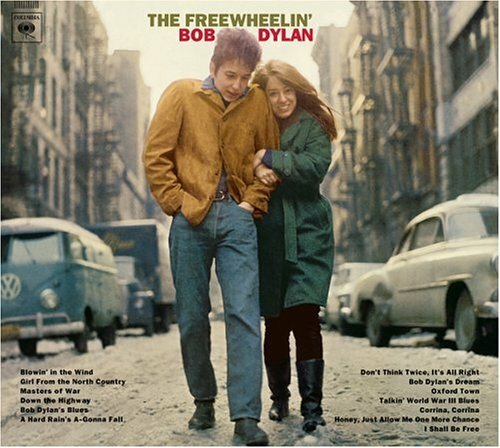 Suze Rotolo, of this famous album cover, died last week, meaning pop music lost perhaps it’s greatest muse (it’s either her or Pattie Boyd, right?). On his “other” other blog, Chris Jones riffs on the rules to the press box and the locker room for sports reporters. The latter drew some commentary from former hockey player Justin Bourne. Frank Lloyd Wright had a 10-point manifesto for his apprentices. It doesn’t necessarily conform with the philosophical tenets of the book he, in part, inspired. Man, when was the last time we had a batch of DFW links? Well, here’s an old Laura Miller interview with him, as well as a thoughtful look at the underappreciated Oblivion, and a look at the recently opened archives in Austin. And hey, this makes Infinite Jest slightly less confusing. Slightly. The multi-talented Donald Glover as a rapper. Charlie Sheen…er, uh, well, we don’t really know what to say…. If there’s one thing people love to talk about, it’s health insurance. Go to any coffee shop in America and you’re bound to find at least one person who has health insurance. But what the insurance companies don’t want you to know is that, in all likelihood, many more than one person there has health insurance. And while it’s true that people don’t really like talking about health insurance, you can bet that someone you know has it, and has it bad. If you’re perfectly healthy like me, you obviously don’t want health insurance because what’s the point? Who wears a raincoat when the forecast says clear skies, other than actors like in The Perfect Storm? No one. Plus for most people, umbrellas would be way more useful—but not in that storm they wouldn’t! What a movie. But you know what? Everyone died at the end of that movie, so are we really supposed to believe that it’s a true story? 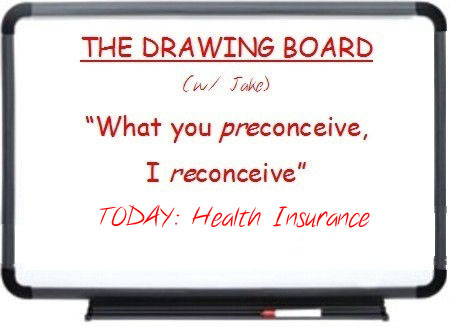 But I’m not here to take The Perfect Storm to the drawing board, or even spoilers for that matter—sorry about that—because the truth is that, for most of us, health insurance poses a far greater danger than some type of perfect storm. Even the so-called perfect storm isn’t that dangerous—just stay inland. Same with Jaws. If you stay on land, the worse that can happen is Twister, but I’m not really scared because that movie was lame. Your first reaction to the latest Radiohead album will be based almost entirely on what you expected from it. This is true to some extent for every album (and every movie, television show, novel, meal, etc. ), but it’s particularly the case for Radiohead. The band has built a reputation as the most daring and innovative band on the planet, and it has now gone over three years between albums twice in a row. In other words, these guys have a lot to live up to. I suspect that Radiohead knows this, and that it at least partially motivated the quick release of The King of Limbs. Just over a week ago, the album had no official name or release date; then last Monday the band announced not only that the album was complete, but that it would be released in five days. To top all that off, the band released the album on Friday, a day before they had initially planned. 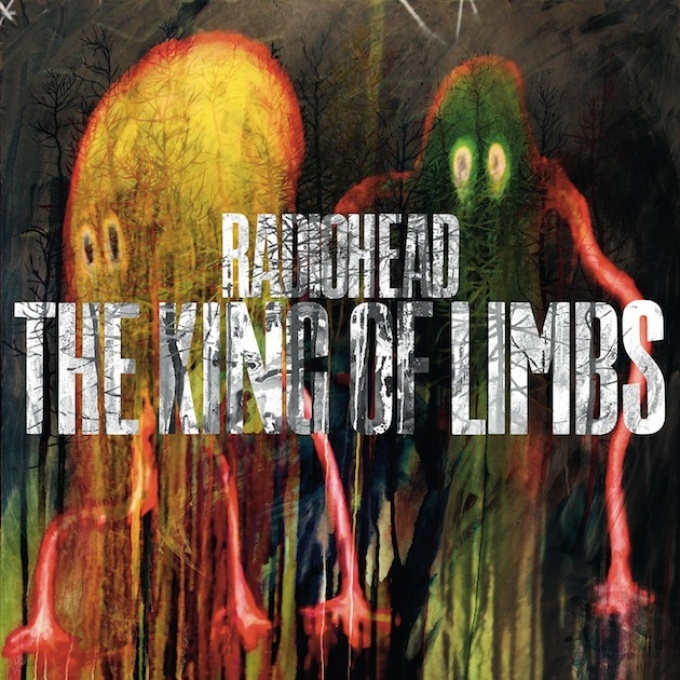 The general effect of this was both to preempt any long, anticipatory buildup to the album, as well as to shift focus from The King of Limbs itself to the manner of its release (something Radiohead has done before). With an especially boring slate of Big Monday games—has it ever been worse than this year, for some reason? The Big East and Big XII are good, but man, I can’t remember a good Big Monday game all season*—I had time to watch Pretty Little Liars at its regular hour this week. And even to rewatch some prior episodes during its all-day Presidents’ Day marathon. *You heard it here first: Neither Syracuse nor Villanova will be playing past the NCAA Tournament’s first weekend. That’s right: I’m recommitting myself to PLL full-tilt until the season finale in a few weeks. And Monday night’s episode, “The Bad Seed,” has me, well, ambivalent about that commitment.